Technically speaking I only read 3 books that were solely dedicated to the holiday (though one of those books was really 16 books in one >.>), and 5 that took place around and during the holiday in some way. MERRY INKMAS (4 stars) – when the Author tweeted that this was rolling for free on Kindle I ran. I love Hibbert’s style and heroines, so this just fit the bill. And did not disappoint! There’s a definite emotional pay off here that I appreciated as well as a heartfelt message about how putting the past behind us should be less about platitudes. NOT HIS CHRISTMAS (5 stars) – this is a but of a cheat since its a continuation in a series I already really enjoy (“Not This” series), but that said it felt accessible even for new fans. There was just enough information given so new readers would understand some of the inside jokes and not too much to make a veteran like me feel like we’re just re-hashing to fill space. SEDUCED UNDER THE MISTLETOE (3.5 stars) – There are several stories I did not enjoy in this anthology of short novels (they’re like 100 pages each). My fav story was definitely “His Mistletoe Mistress” by Nicola Davidson because it was both sweet and smexy all at once. THE REBELLIOUS TWIN (2 stars) – I read this book as a teen, it was one of my favs and one I held on to for almost 2 decades because of that. I apparently have not re-read this book in the last decade however because my memories are way better then the book itself. THE SELFLESS SISTER (2 stars) – I still found the mystery quite intriguing, but lord save me from these idiots. Just. Please. Save. Me. THE SCENT OF LILACS (3 stars) – This one fares far better then most of my Teen Regency Reads that I loved, possibly because it focuses so much on the tragedy and gothic elements. The romance is pretty second tier here, sometimes feeling more an after thought. RAKE’S GAMBIT (3 stars) – It physically hurt me to realize this book, which I so cherished as a teen, is just painful to read because its literally filled with all the tropes I hate. Every. Single. One. THE STORY PRINCESS (3 stars) – On the one hand this didn’t have most of those early 90s/late 80s Harlequin tropes I hated. On the other, more rational hand, this is still not a great thing. Look. Dude. You offered her a Casual Affair after she was like “I think I feel more for you, oh by the way I don’t particularly like the limelight”. She gets to be mad. FAVORITE: Merry Inkmas – while not my highest RATED it was extremely fun and touched my hardened feelings way more. LEAST FAVORITE: I’m so pissed off at The Rebellious Twin for letting me down that I’m labeling it my least favorite. First if Darcy up there gives you weird vibes, don’t worry I’m right there with you – he played Cole in UnREAL (yeah that dude from Season 2). I’m pleased to say that he’s utterly charming in here. Secondly this is the loosest rendition ever of Pride & Prejudice and that’s fine. I liked it. So…honestly they weren’t at odds that long. In fact they spent more time flirting then being at odds. Which makes some of the movie really frustrating – Darcy why would you think she’d play you like that and then run off to George who’s she already friend-zoned once? Elizabeth why would you NOT COMMUNICATE better? Some of the best moments include Christopher Kringle bitterly berating Darcy for being the thickest idiot to ever exist, Darcy lamenting that he needs to stop making jokes because no one finds them funny and what a freaking puppy George is. Overall I’d give this movie a solid 3 stars, fun but frustrating. Chicago baker Stacey needs to loosen up while Duchess Margaret needs to live like a “normal girl”, can a chance meeting in Belgravia which is totally not a small British country we swear steer them towards true love and their perfect lives? I’m a bleeding lover of these kinds of stories. Even when they make little to no real sense in other more important ways. Nick Sagar (playing Kevin, Stacey’s best friend and Margaret’s love interest) is a true darling with awesome abs while Sam Palladio (playing Prince Edward, Stacey’s love interest) is just so…well I’m going to saying it again charming. I like that Edward is basically “well, Stacey’s who I want so I really don’t care about much else”. Kevin’s daughter Olivia is adorable and I can very much see my own niece being as sneaky as she was. I did kind of side-eye much of the details, but at the end of the day it was a fun, cute and christmas-y movie that entertained me and that’s all I want. 4 stars. 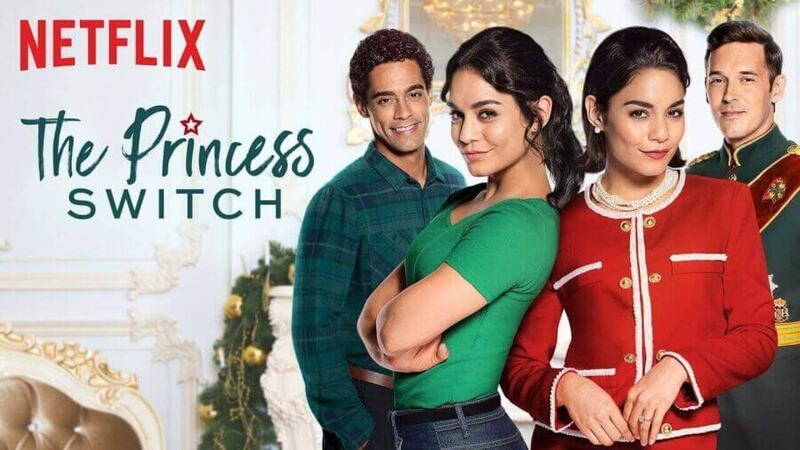 This sometimes adorable, but mostly rehash-y follow up to Netflix’s first movie (A Christmas Prince, 2017) had a few surprises. Its been almost a year since Amber agreed to marry the now King of Aldovia Richard, but will traditional protocol, nefarious plots and a country on the verge of revolting thwart her fairy tale Happily Ever After? I really kind of rolled my eyes through much of this since some of it didn’t make sense at all (how did she leave her wedding to be planned until 2 weeks before it was supposed to happen? Why did no one think to look into the very real issues that country was having? Did anyone care that Simon was basically an alcoholic who was likely embarrassing the Royal Family daily for the last year? ), but overall it was cute and enjoyable as a follow up. I do agree with my friend though, sometimes its better not to revisit these worlds they don’t hold up. Damn if I didn’t love Simon and Emily’s savage snarking at each other though (or Simon’s heel turn from the last movie). 3 stars. Who is Andrew Cooper and where has he been all my life, holy smokes I love him. Sorry. About the movie. Former professional skater turned coach is in San Senova again this isn’t Britain folks to help produce the country’s annual Christmas show. When sparks fly between her and the “Grinch” King, will they be able to let the magic of the holiday into their hearts and move forward together? Can he be MY King? You’ll never find a more nationally motivated person I promise. his voice is just…beautiful also. I don’t know if its his real accent, but I doubt I care because gosh he’s pretty. Sorry. Right. The movie. 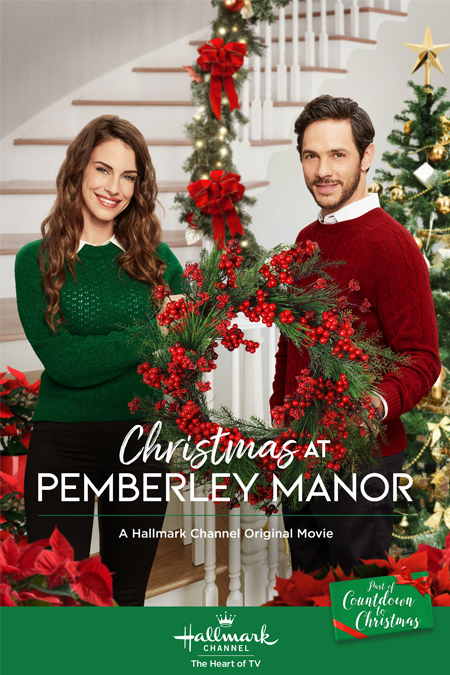 That’s all folks – way less watching then I would have liked (dear lord there’s 33 new Hallmark movies this year alone – which I hope you downloaded their Countdown to Christmas App to keep track! ), but I’ll make it up don’t you worry.